Life science marketing events at the exceptionally well-funded University of California, San Diego are held twice a year by Biotechnology Calendar, Inc. and are consistently our most well-attended events. Lab suppliers marketing university lab equipment and hoping to increase scientific product sales leads may be interested to know that last year’s San Diego Biotechnology Vendor Showcase™ Event attracted 723 attendees, of which 224 were purchasing agents, professors and post docs, and 77 were lab managers. The visitors came from 69 different research buildings and 76 departments across campus. Our San Diego Biotechnology Vendor Showcase™ Event is quickly approaching and will be held on August 22nd, 2013. The University of California, San Diego conducts a great deal of innovative research in its numerous organized research units on a yearly basis. 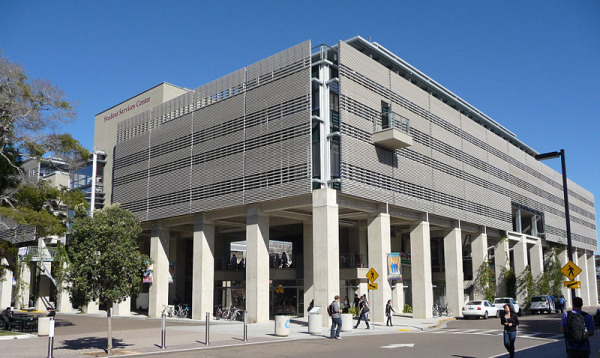 According to the University of California, San Diego website, some of the life science centers conducting studies include the AIDS Research Institute, the Clinical and Translational Research Institute, the Center for Research in Biological Systems, the Institute for Genomic Medicine, the Rebecca and John Moores UCSD Cancer Center, the Stein Institute for Research on Aging and the Kavli Institute for Mind and Brain. These centers and institutes are well-funded by private donors, NIH grants and NSF grants. In 2012, the NIH awarded the University of California, San Diego $395 million in research funding. For the convenience of our readers, we have composed a list of the top-funded life science departments at the University of California, San Diego organized by department name, number of awards received and total funding awarded. For a full list of departments receiving NIH funding, please visit the NIH website. In addition to receiving a great deal of funding from the NIH, the University of California, San Diego also received $70 million from the NSF in 2012. Life science projects alone were awarded $9.6 million of that research funding. The best-funded NSF project in the life sciences concerned biological infrastructure and was titled “Temporal Dynamics of Learning.” The project received $1.6 million. For more information on projects receiving NSF funding, please visit the NSF website. If you are a lab supplier interested in marketing your university lab equipment and increasing scientific product sales leads at University of California, San Diego life science marketing events, Biotechnology Calendar, Inc. invites you to attend our semiannual San Diego Biotechnology Vendor Showcase™ Event on August 22, 2013. Biotechnology Calendar, Inc. is a full-service science research marketing and events-planning company that has been organizing life science marketing events at top research institutions nationwide for 20 years. For more detailed funding statistics on the University of California, San Diego or more information on our San Diego Biotechnology Vendor Showcase™ Event, click on the button below. If you are interested in marketing your university lab equipment and increasing scientific product sales at life science marketing events closer to home, we encourage you to view our 2013 calendar of events.